The RB-TGHDX Multi-Channel High Definition Tone Generator. 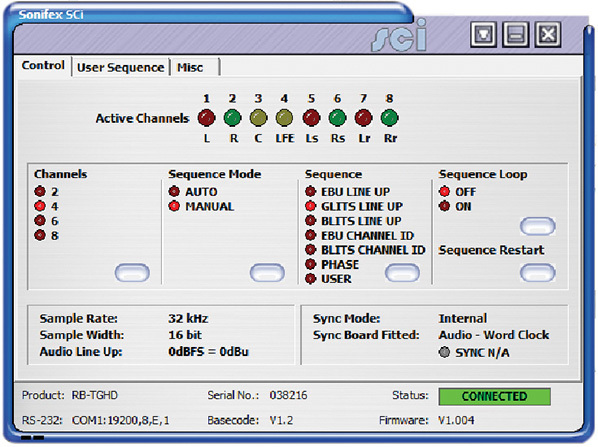 The RB-TGHD is an 8 channel audio tone generator that provides line identification for multi-channel audio systems, including 5.1 and 7.1 surround sound typically used in high definition television broadcasts. 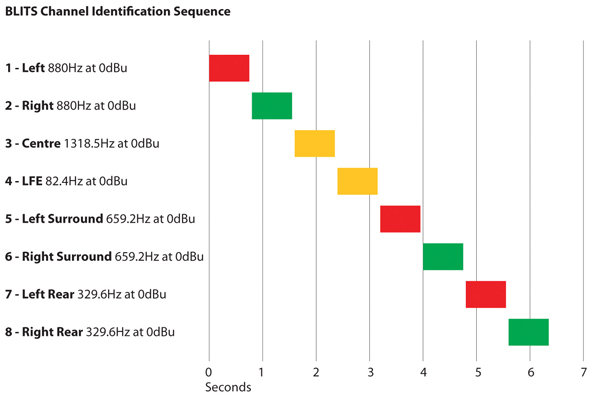 By using a range of widely accepted industry standard tone sequences such as the EBU R49, GLITS and BLITS tones, channel identification and associated levels can be determined easily. 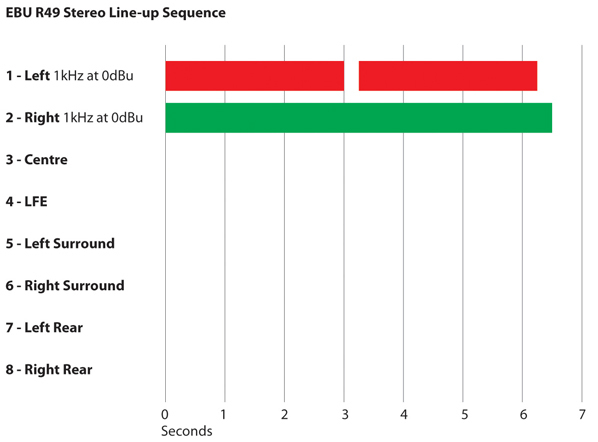 Correct channel configuration in fold-down mixes can also be highlighted when a broadcaster needs to mix several audio channels into a stereo feed. 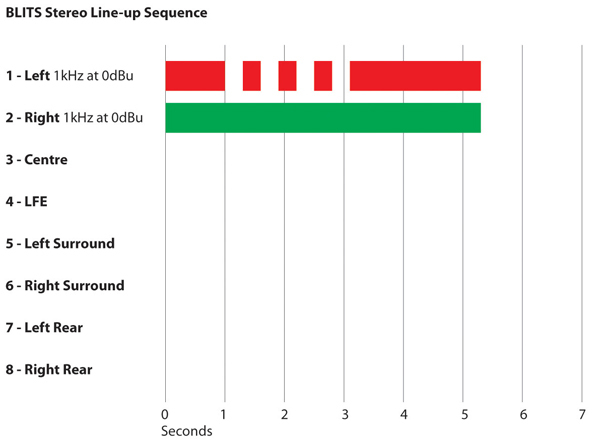 The RB-TGHD caters for 2, 4, 6 and 8 channel configurations and all of the available audio tone sequences for each channel configuration can be cycled through automatically, or selected manually, and a loop mode allows patterns of tones to be repeated. A bank of 4 pushbuttons on the front panel sets these options and the associated LEDs indicate the current setting. A set of 8 LEDs on the front panel indicate which channel is currently outputting audio with the LEDs numbered as both 1-8 and as L, R, C, LFE, LS, RS, LR and RR. The RB-TGHD is available in two variations, each providing both analogue and digital audio outputs. The RB-TGHDX offers balanced AES/EBU digital audio outputs on 3 pin XLR connectors and the RB-TGHDB has unbalanced digital audio outputs on BNC connectors. Both types provide 8 balanced analogue outputs on 3 pin XLR connectors. 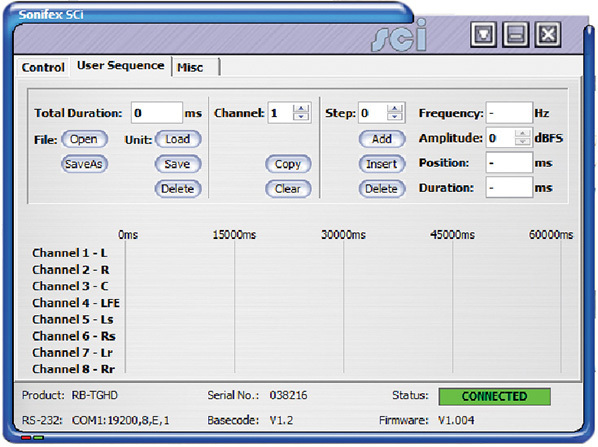 A wordclock synchronising input on BNC connector allows the digital outputs to be synchronised to an external signal. Optionally, an RB-SYA or RB-SYD video sync board can be fitted, to synchronise the unit to either an analogue or digital sync signal. A SYNC LED on the front panel indicates when the unit is synchronised to the external signal. 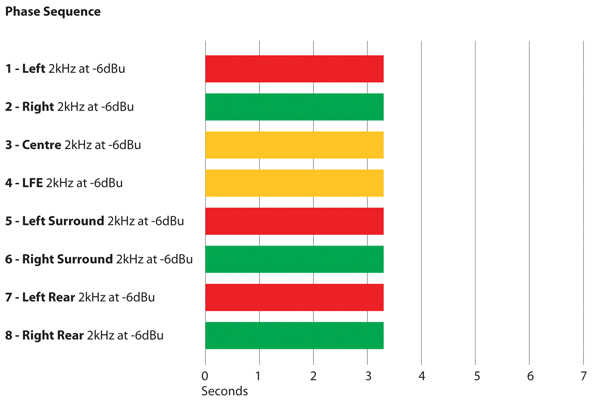 The audio level line-up of the RB-TGHD can be adjusted from 0dBu to +24dBu in 1dBu steps (ref FSD) to suit different environments via the front panel mounted DIP switches. 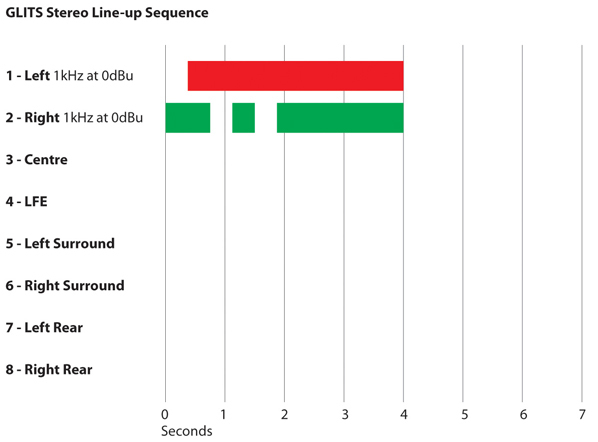 Changing the audio line-up does not affect the gain relationship between each channel, ensuring that correct levels through the target system can be maintained. These switches also provide settings for digital sample rate which ranges from 32 kHz to 192 kHz, and digital sample width which is either 16 bit or 24 bit. 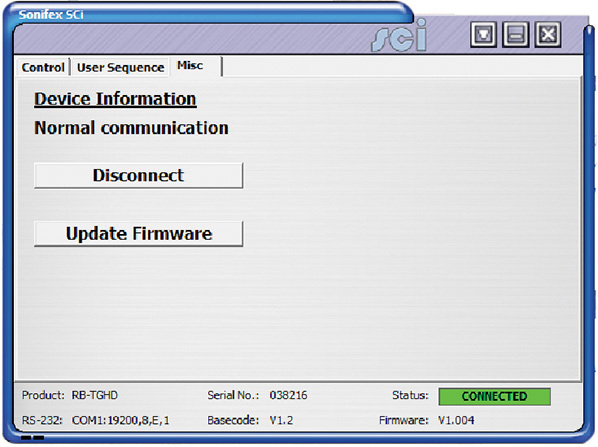 The serial port allows the RB-TGHD to be connected to a PC running SCi, the Sonifex Serial Control Interface. This allows full control of the unit and the ability to generate a user defined audio tone sequence. In addition, a remote port on the rear provides a simple interface to control the unit and has several outputs to indicate which tone sequence is active.